Bernadeth Pongos-Silva was 57 years old when she passed away Saturday, August 25th. 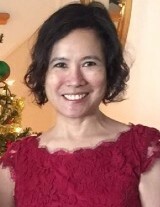 Born in Cebu City, Philippines, Bernabeth was a resident of New Milford since 1993. She was an Operating Room Registered Nurse for many years at Mt. Sinai Hospital West, New York City. Bernadeth was an excellent Wife, Mother, Sister, Daughter and friend who took care of everyone.Bernadeth is survived by her devoted husband Lutgardo Silva, her loving daughter Monnavi Silva, her dear sister Dalme Pongos Legitimas and her husband Apolinar and her brother Camilo Pongos, and her cherished nephew Eufie Andrews Legitimas and niece Cielo Legitimas. Visiting hours will be held Friday evening from 6-9pm. A Mass of Christian Burial will be offered Saturday 10am St. Joseph RC Church, New Milford/Oradell. Her burial will take place at George Washington Memorial Park, Paramus.